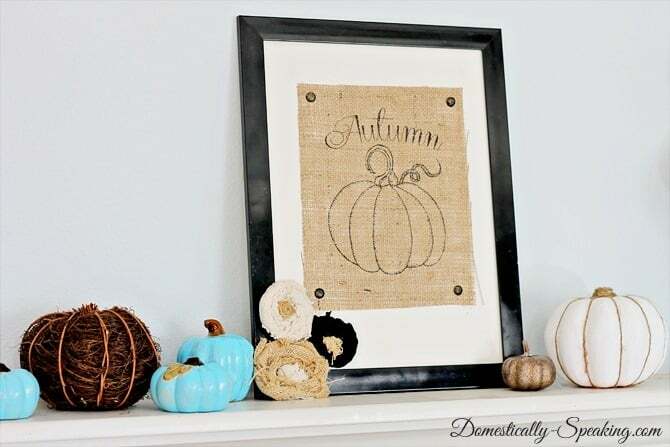 You are here: Home / art / Burlap Autumn Pumpkin & Anniversary Winners! 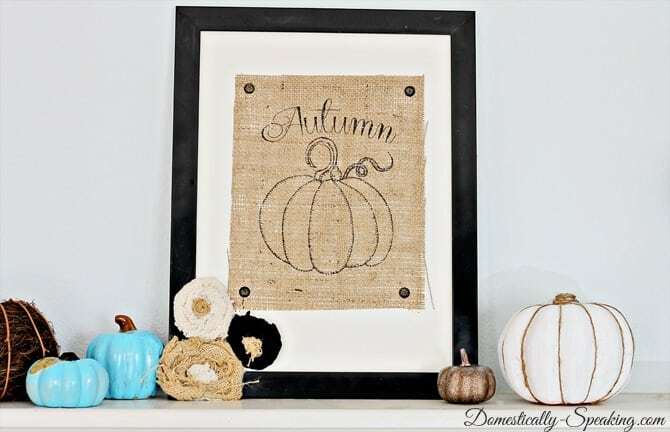 Burlap Autumn Pumpkin & Anniversary Winners! Hi Friends! If you’ve been around here long enough you know I adore burlap. 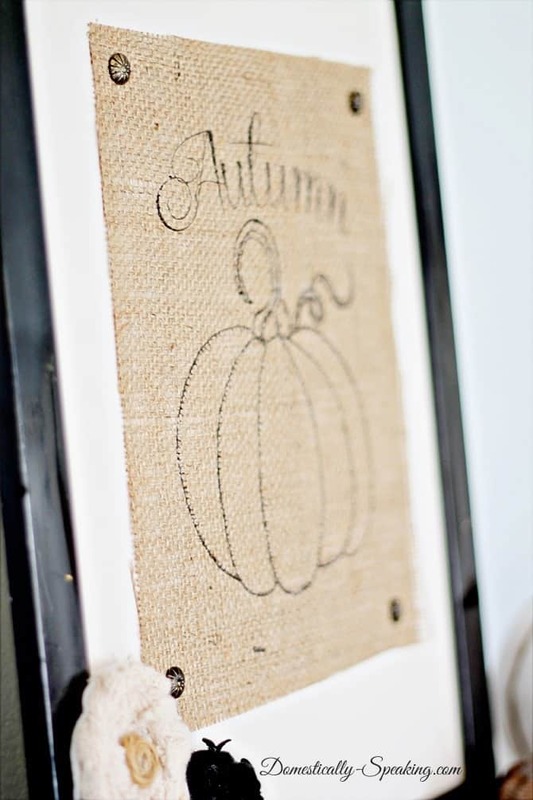 So when I decided to do a week long Pumpkin Palooza I knew I needed some burlap ~ so why not an Autumn Burlap Pumpkin! 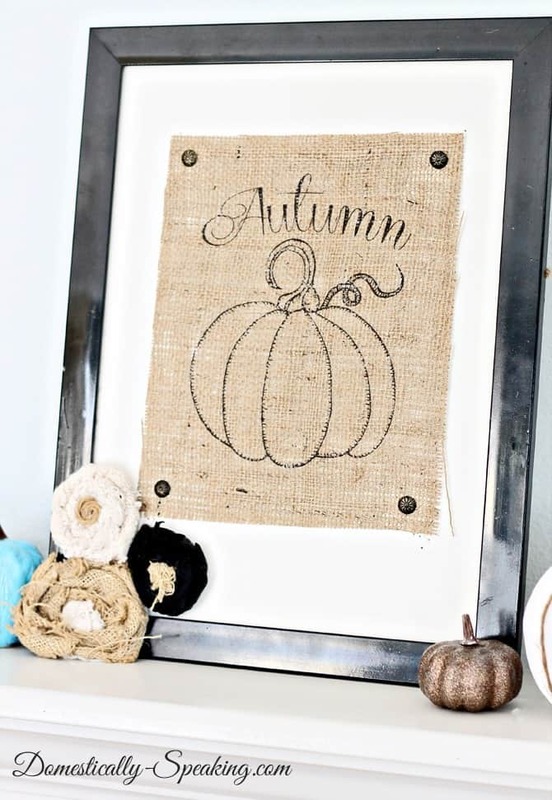 I printed this cute burlap autumn pumpkin with my printer. 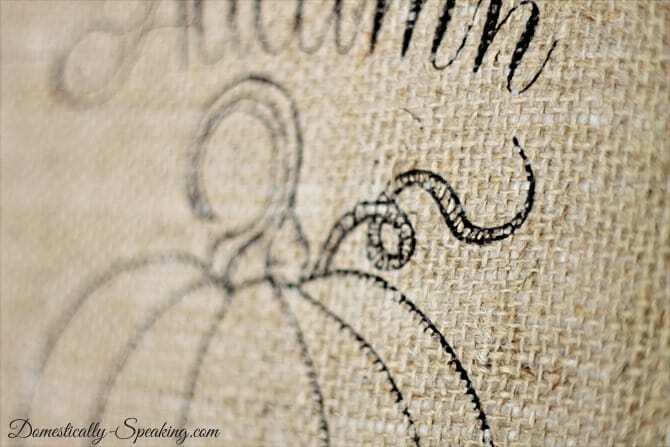 If you missed it earlier this month I shared a video tutorial on how I print on burlap. Don’t you just love the little twisty part on some pumpkins? Right now she’s sitting pretty on my mantel. I’m still finalizing my fall mantel, so we’ll see if she stays. Here’s the other pumpkins I shared this week and they’re both in this photo: Dollar Tree Pumpkin with Paint and Twine Little Blue Pumpkins And now for the winners of my Anniversary Week Giveaways. You can find the winners by clicking on the links below: Pfister Faucet Giveaway RoomMates Giveaway Minted Giveaway Thanks for stopping by friends! Tomorrow I’ve got a yummy pumpkin recipe for you. Maryann, I love this and it is so simple and beautiful for the holiday! Thanks for sharing! I love that Maryann!! Thanks so much for linking it, and your other fun pumpkin projects, up to our Pumpkin Party last week! How cute is that! 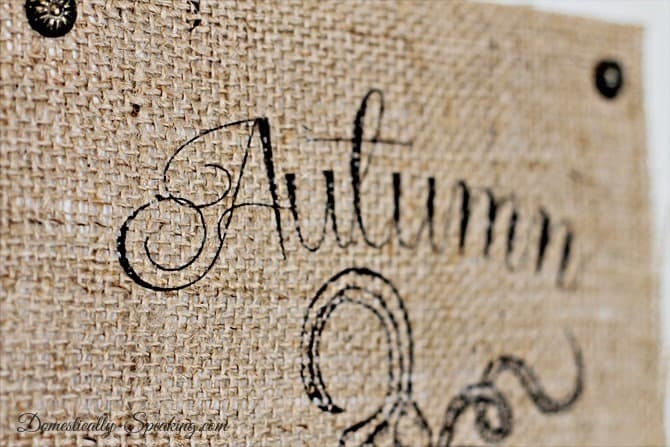 I just love how it looks on burlap, what a super good idea! I just love this, Maryann! Pinning! Love this, Maryann! I love the little hobnail embellishments in each corner too! Pinning! Thanks Patti! I created it in Photoshop Elements and with their font tools I’m able to curve it. I just found your site through Pintrest… I love this! I’m off to check out how you print on burlap. I am really crazy over the font. Would you mind sharing? Thanks Kelly! The font is Centeria. So beautiful in it’s simplicity! Love it!